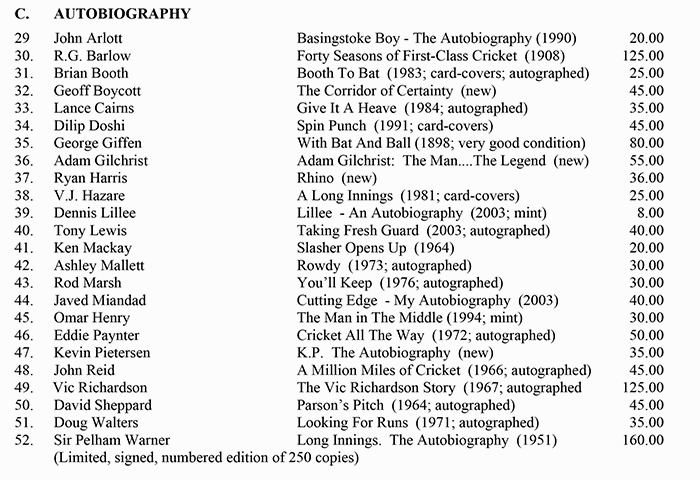 At Roger Page Cricket Books we stock a range of quality cricket autobiographies of best know modern and famous cricket players throughout the history cricket. If you need an items that is not shown on this page please type the title in the search box to see if we have stocked this item before. If the book is not there, send me an email or fill out the enquiry form.